Matthew Dolphay is an associate in the firm’s Helena Office. Matthew graduated with honors from the University of Montana School of Law in 2014. Following graduation, he served as a law clerk for two years, clerking for Montana Supreme Court Justice Jim Rice and then Montana Supreme Court Justice Laurie McKinnon. 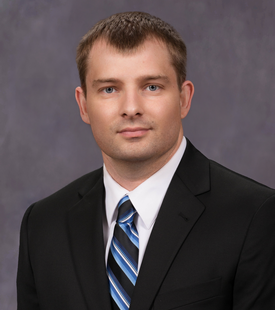 Before entering law school, Matthew studied civil engineering at Montana State University. Received CALI Awards for Excellence in: Property Law; Indian and Tribal Law; Federal Tax Law; Environmental Law and Land Use Law.